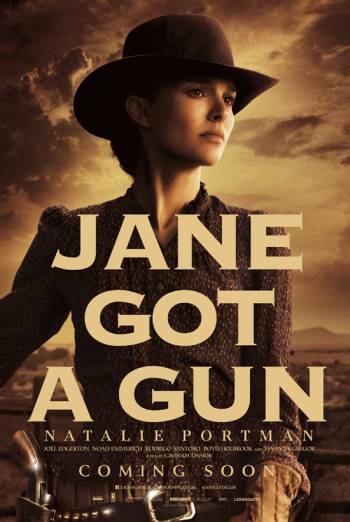 Summary JANE GOT A GUN is a western about a woman attempting to flee with her family from a gang of killers who were responsible for shooting her husband and kidnapping one of her children. JANE GOT A GUN is a Western about a woman attempting to flee with her family from a gang of killers who were responsible for shooting her husband and kidnapping one of her children. There are gun shots to the body and head which result in heavy bloodshed. There is a sequence in which a man is tortured by having a gun barrel pressed into his wounds. There is strong language ('c**ksucker' and 'f**k'). There are a couple of scenes of sexual threat, most notably in a sequence in which a man aims his gun at the main female character and strokes the barrel of the gun in a suggestive manner.